The best way to gain a lot of cash is to be part of a team. Take on the role of a mob family and hire powerful mercenaries in this new expansion for Ca$h 'n' Guns. 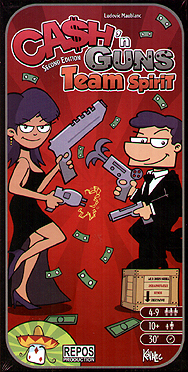 Team Spirit is an expansion for the Ca$h 'n' Guns Second Edition game. The basic game is required to play.